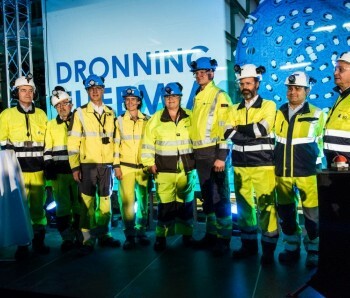 The baptism and startup marked the beginning of the excavation of what will be Scandinavia's longest railway tunnel. 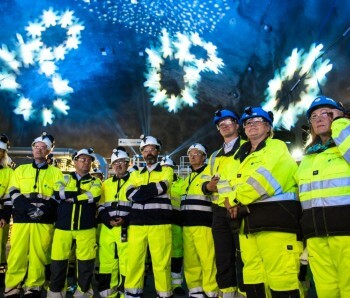 In total four 150-meter long TBMs will excavate 18,5 km of the new tunnel and they are given female names, in accordance with tunnel traditions. 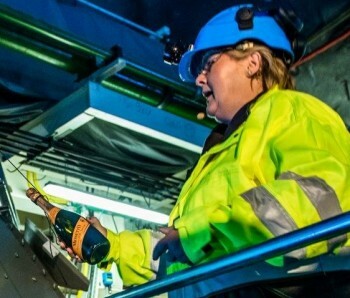 The giant machines are named after prominent women associated with communities along the new corridor of the Follo Line. 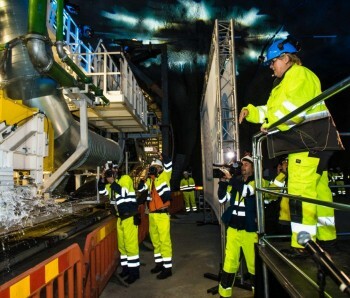 The baptism took place inside a large assembly hall one kilometer from the tunnel entrance at Åsland, Oslo. 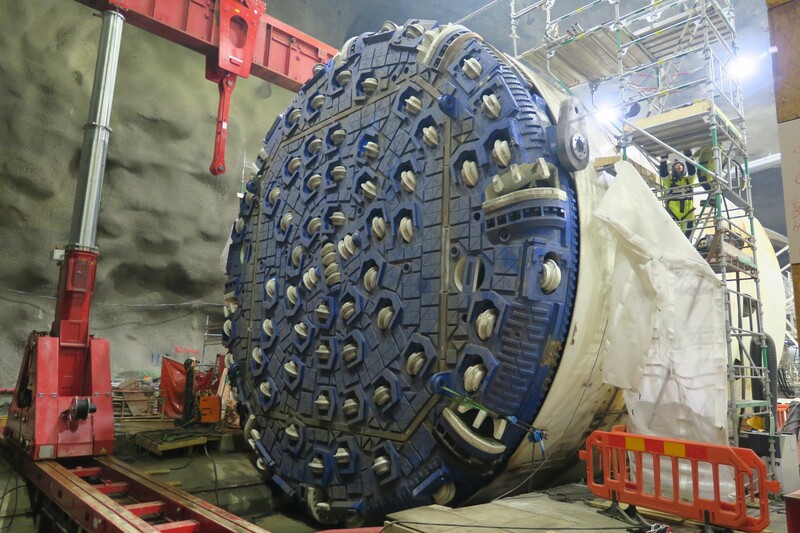 These two machines will depart from Åsland in Oslo and excavate their way toward Oslo. 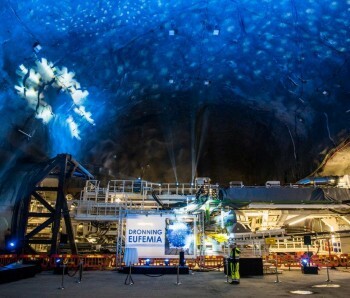 They have been given the names Queen Eufemia and Queen Ellisiv. 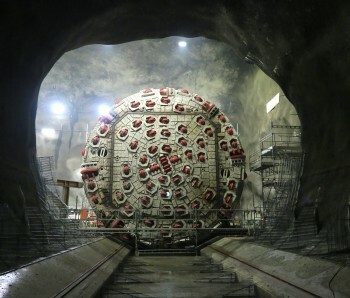 Two other TBMs will later begin boring toward the new public transport hub in Ski. 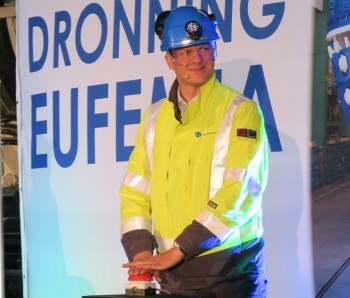 They are named after the merchant Anna from Kloppa, and the coach/ferrywoman Magda Flåtestad. 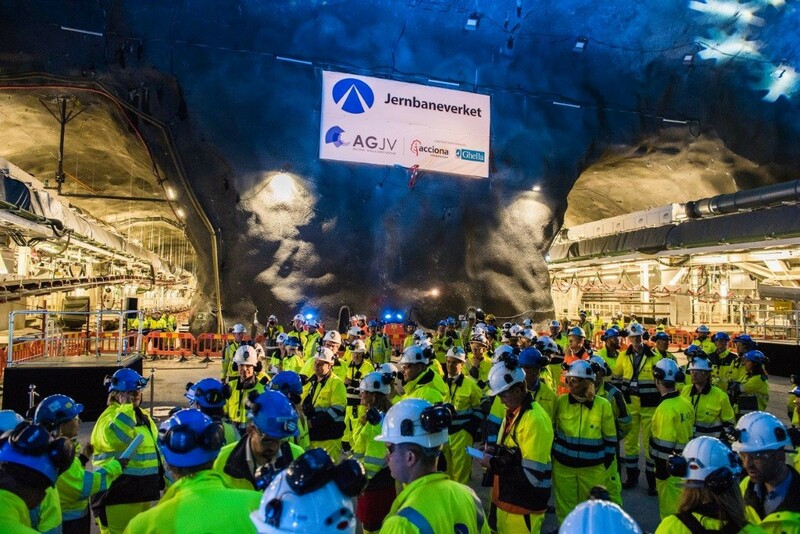 Each of the TBMs weighs about 2400 tonnes, and will dig roughly 9 kilometres tunnel along the new double-track line between Oslo and Ski. 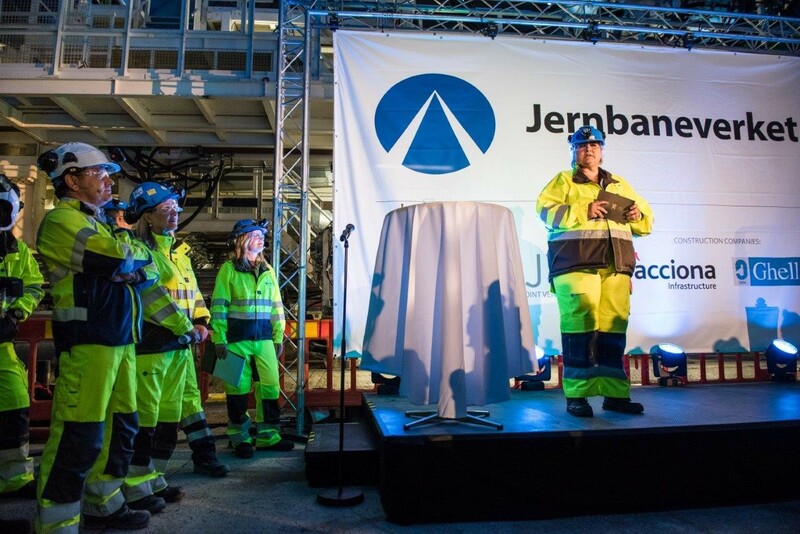 The ceremony was attended by 90 guests and staff. 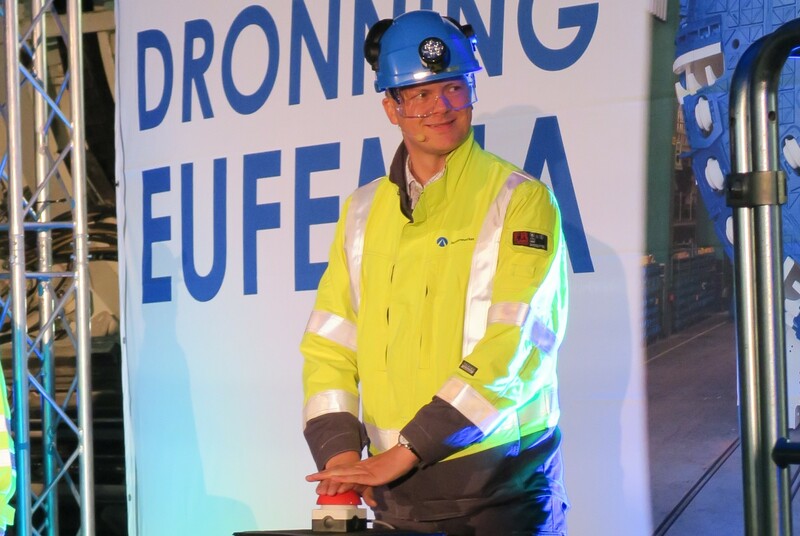 Minister of Transport Ketil Solvik-Olsen pushed the start button on the first of the giant machine, Queen Eufemia. 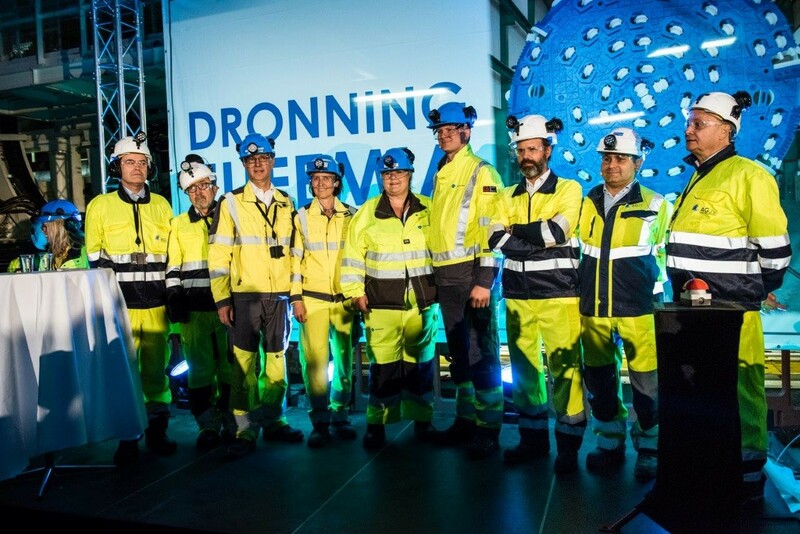 Representatives from the municipalities where the Follo Line run through were also present, along with the Italian and Spanish ambassadors to Norway, representatives from the Norwegian National Rail Administration and executives the TBM-contractor Acciona Ghella Joint Venture. 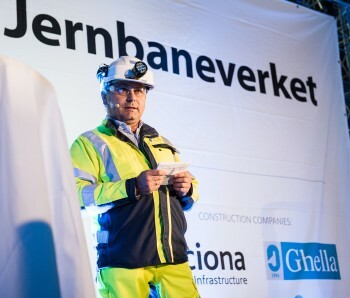 “We are very impressed with the work being done at Åsland since the contract was signed with Acciona Ghella in March 2015. 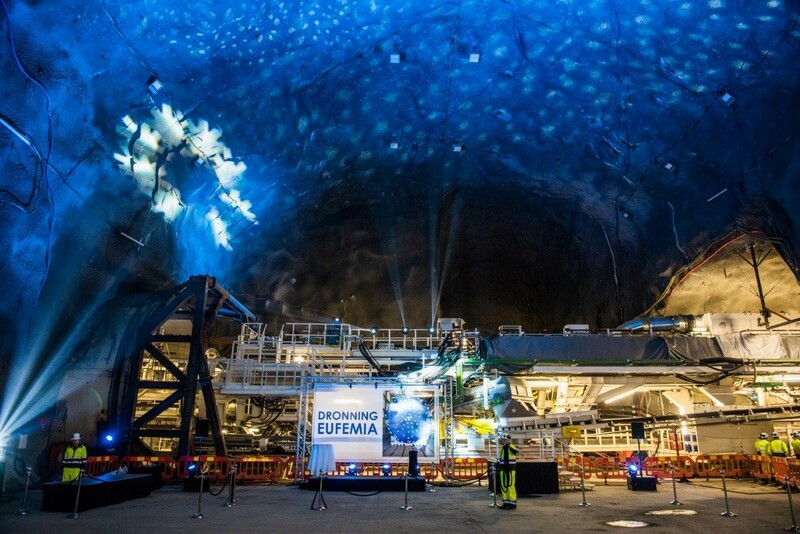 Thanks to a magnificent effort by the main contractor and subcontractors, the project is right on track. 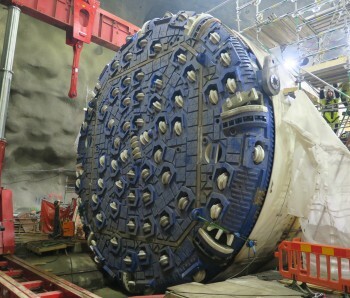 We are now entering a new phase of this project as the first TBM starts to bore. 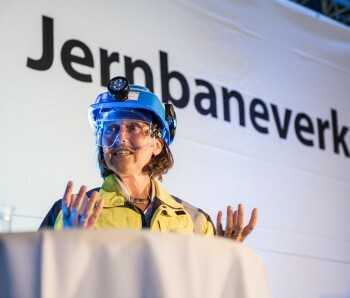 This is a very important milestone for the project and for the Norwegian National Rail Administration,” said Deputy Director General Gunnar G. Løvås, Jernbaneverket. “Now is when work really begins. 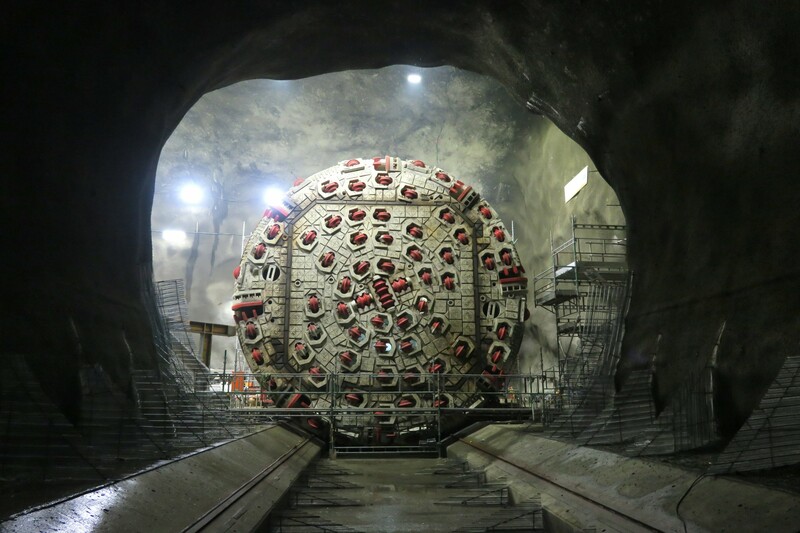 We have been preparing to start TBM-tunnelling for a year and a half now, and I am proud to say we are ahead of schedule. 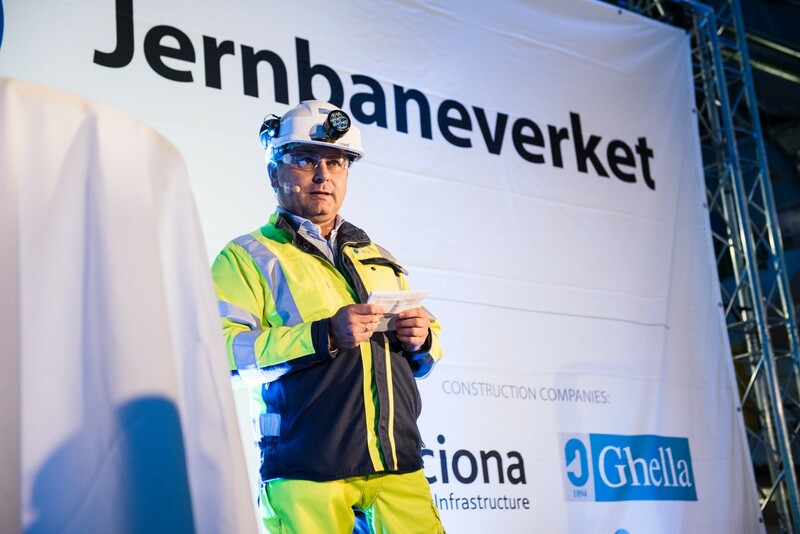 We have established a good working relationship with the Norwegian National Rail Administration and a strong international team which work together with Norwegian managers and suppliers.” emphasised Project Director Fernando Vara from Acciona Ghella Joint Venture. 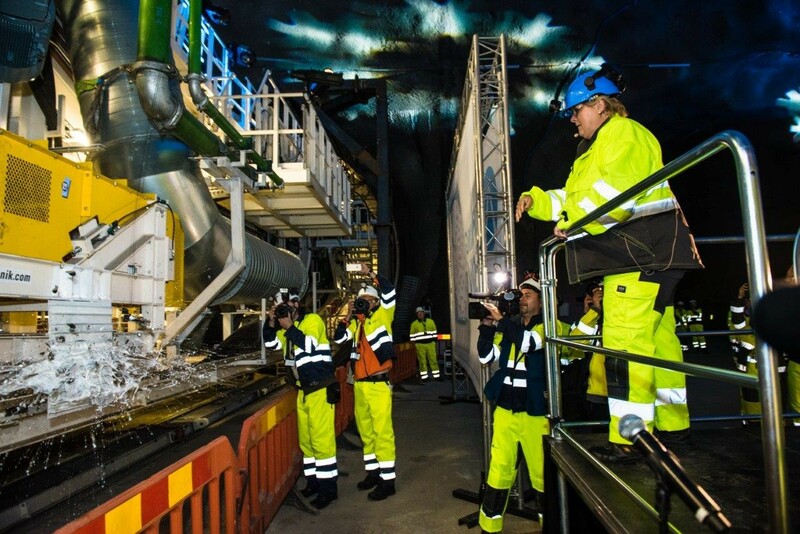 These TBMs are specially designed and constructed to tunnel through hard Norwegian rock in the Ekeberg Hill. 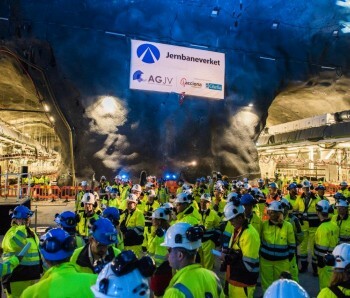 They were manufactured at the Herrenknecht factory, Germany, then transported to Norway in sections and reassembled in the mountain hall at Åsland. 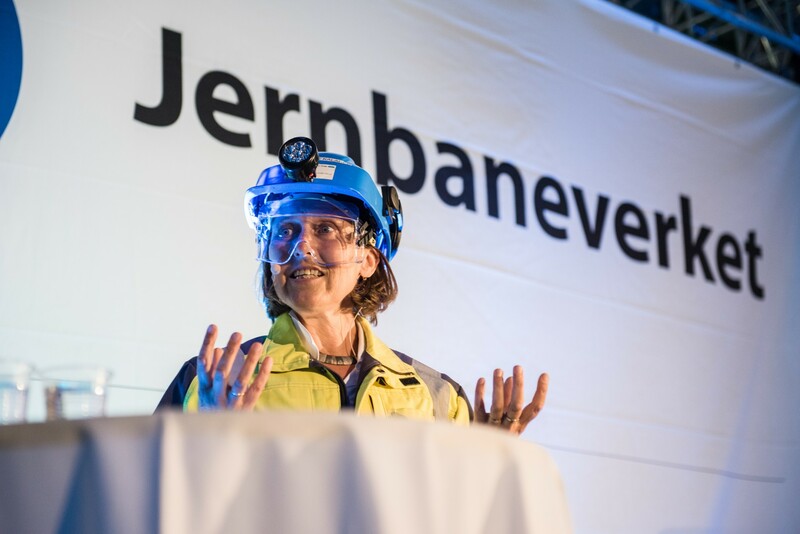 The four machines will start boring from the underground construction site at Åsland as planned, until the boring is finished at the end of 2018. 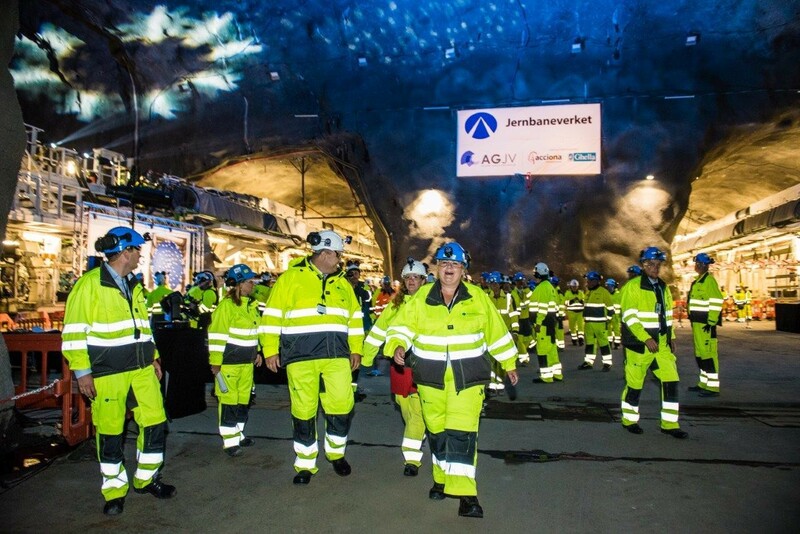 Subcontractors and suppliers from Norway and abroad are working at Åsland under contract with Acciona Ghella. 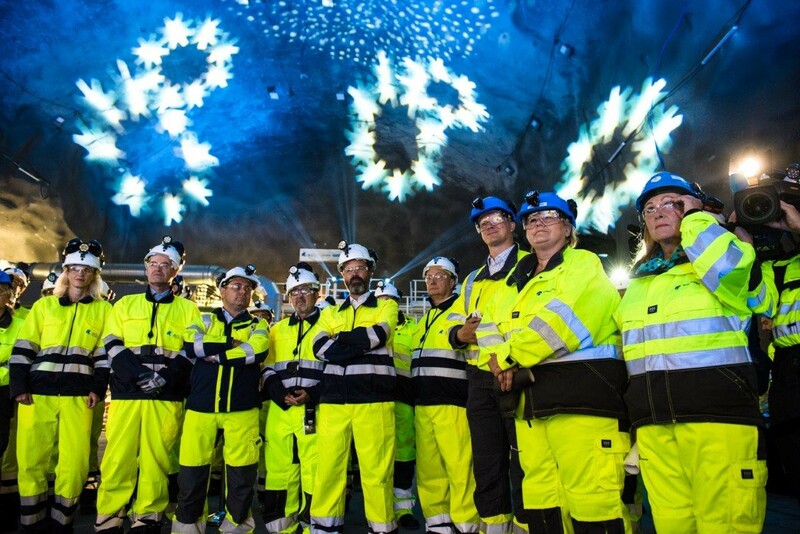 A wide range of nationalities is represented in the team. A small and effective naming committee together with the National Rail Administration have selected names for the TBMs from courageous and enterprising women, with relations to the area. 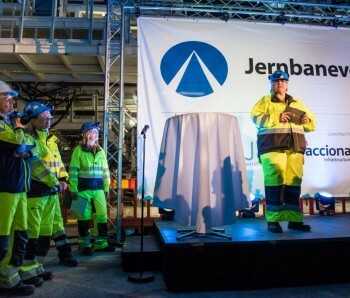 The names for the two machines boring towards Oslo were selected to recognise affinity with Oslo and the Medieval Park. 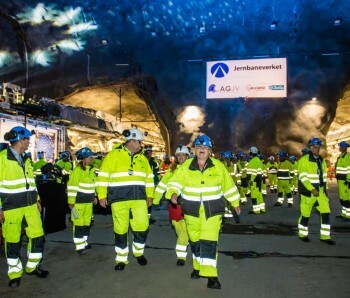 The two TMBs that will tunnel toward Ski are named after two enterprising women who lived in the district of Follo, outside of Oslo.